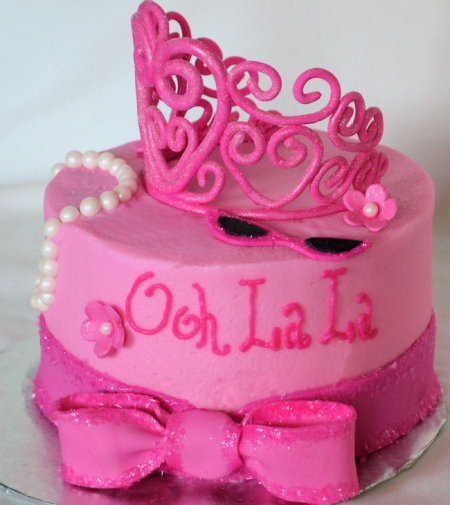 This fancy cake was made for my niece turning 6…and she loves Fancy Nancy and all things fancy herself. 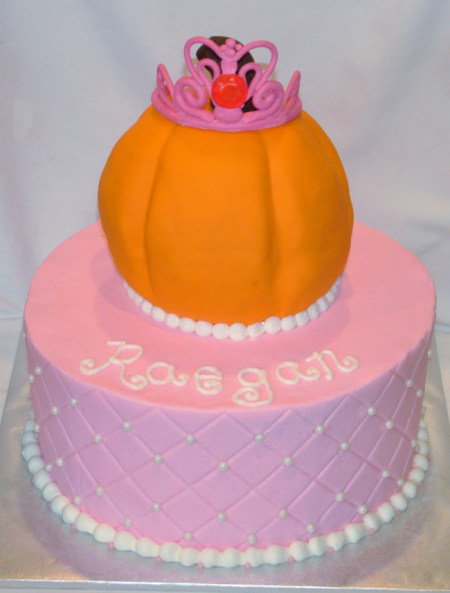 This is a 6″ round cake with buttercream icing. 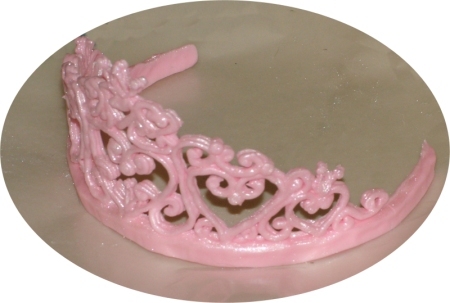 Fondant bow and “ribbon”. The crown & glasses are gumpaste and the necklace is made of sugar pearls. 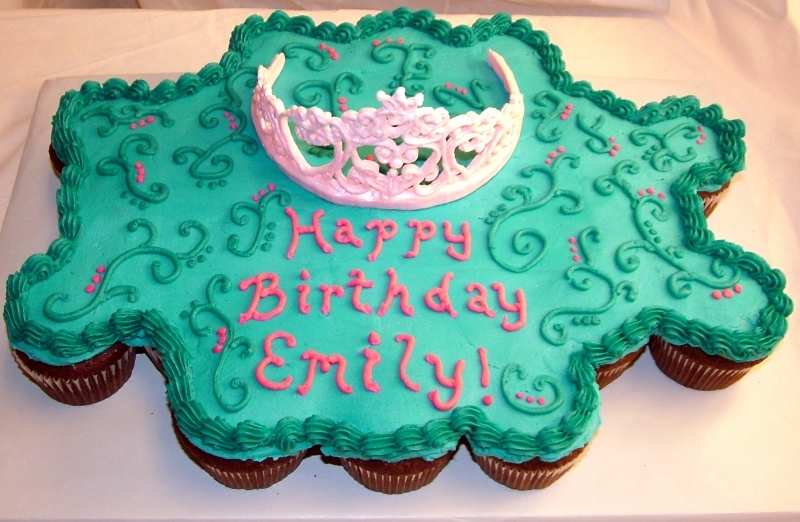 Here is the cupcake cake I made for my daughter’s 6th birthday party with her friends tomorrow. Cupcake cakes are made by putting a whole bunch of cupcakes together and icing over the top. 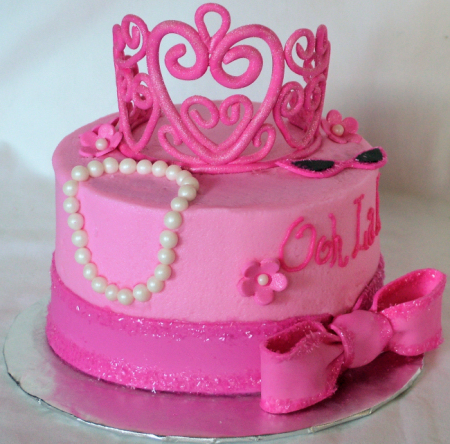 Then to serve you just take a cupcake off – no cutting! 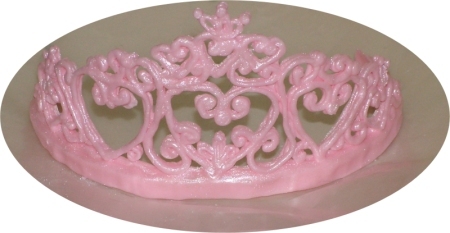 🙂 On top is the tiara I made earlier this week (see pics below in the last post). 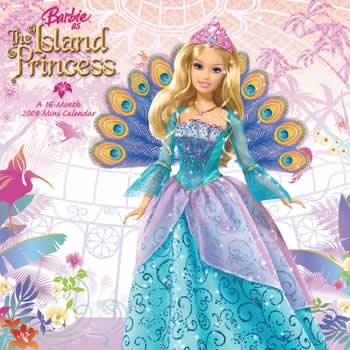 I’ve put a pic below of the island princess barbie this was based on. The crown is made with pink royal icing and has 3 layers of design on top of each other for stability. 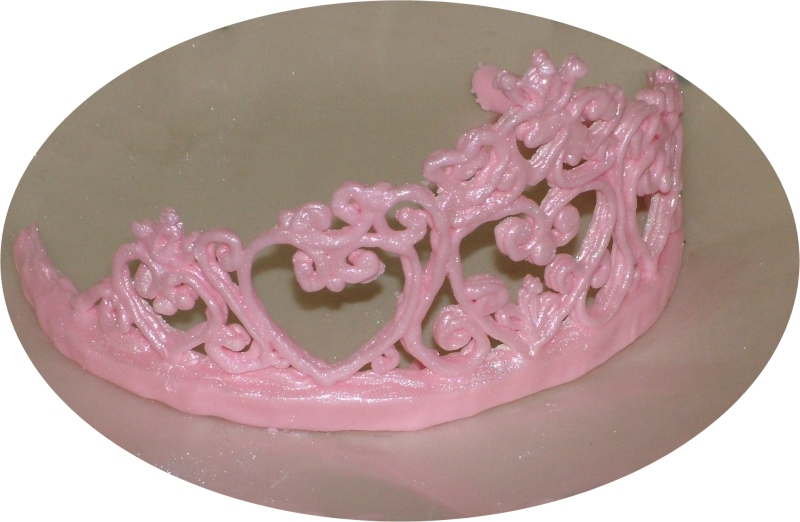 Then once dried I painted it with a pearl luster dust to give it a shimmer.